Veteran Arena is not only about a large collection of the First Republic cars. 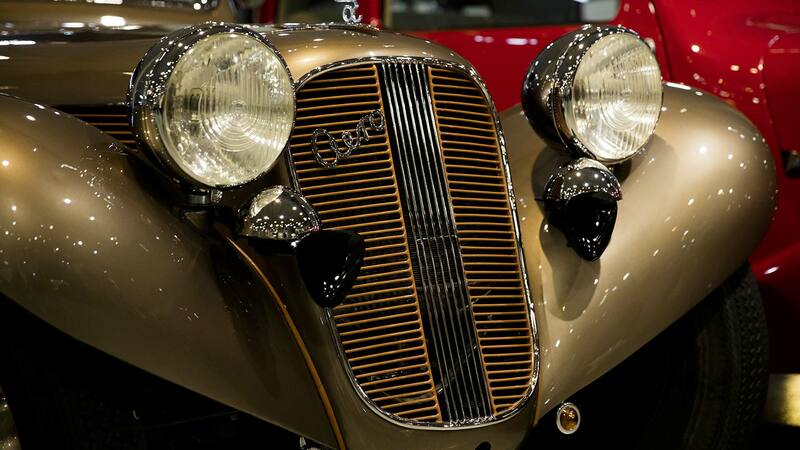 You will be taken to a remarkable period in which car design was not bound by today’s strict laws and regulations. Design engineers in the interwar period were rather artists who had a totally free hand and, the ideal shape of cars shapes were still being looked for. 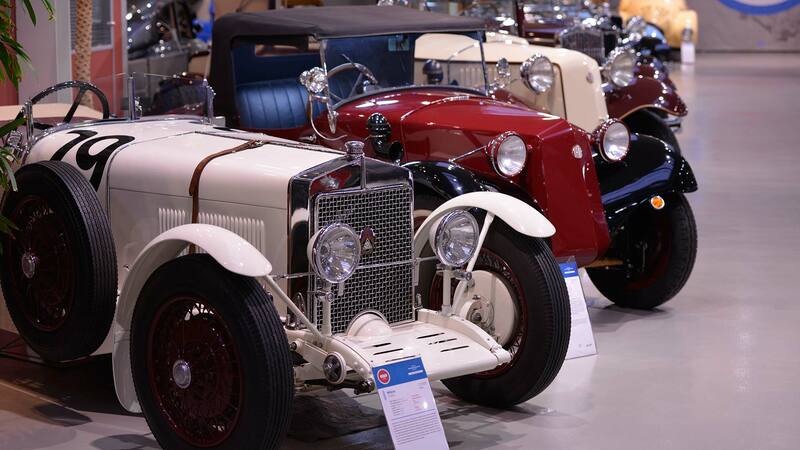 The heart of the collection are Czechoslovak produced cars, mainly Tatra, Praga, Aero, Škoda, Jawa and Walter. 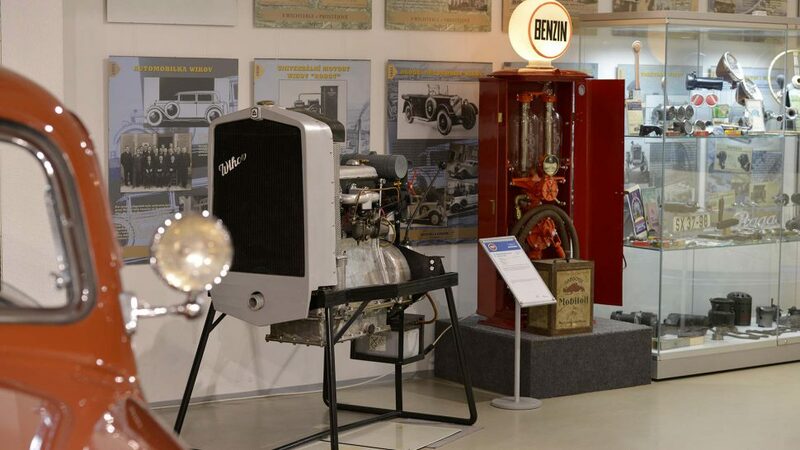 In our museum you will also find the biggest completed collection of the Wikov brand from Prostějov and “Z” cars manufactured in Zbrojovka Brno (Armoury Brno, Zetka). 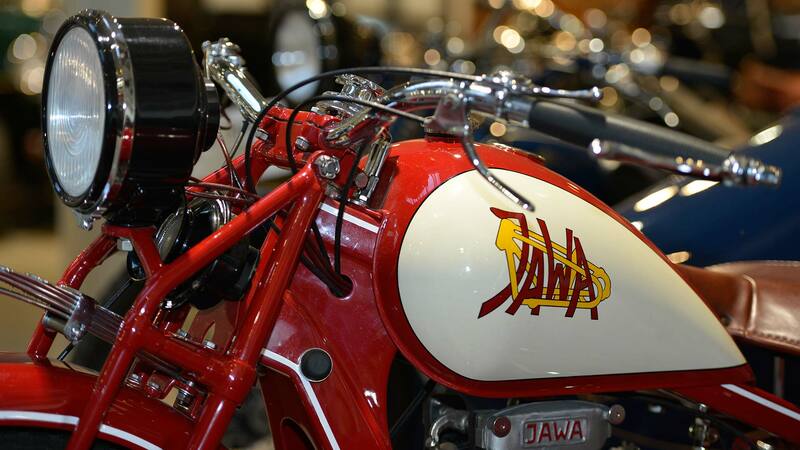 Lovers of historic motorcycles can look forward to the Jawa, Praga, ČZ, Breitfeld & Daněk and Czechia-Böhmerland brands. 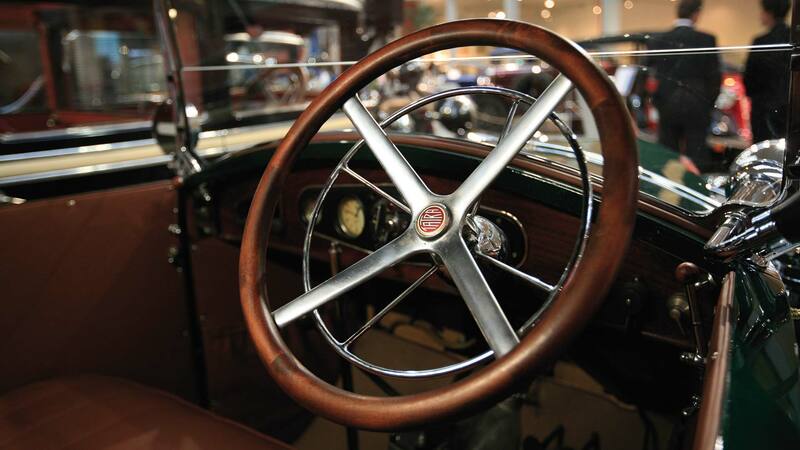 Recently, pre-war and post-war English “cars for gentlemen” have found a place in our museum. These are high-performance sports and racing cars of which only a few pieces were ever produced with custom-made bodywork. 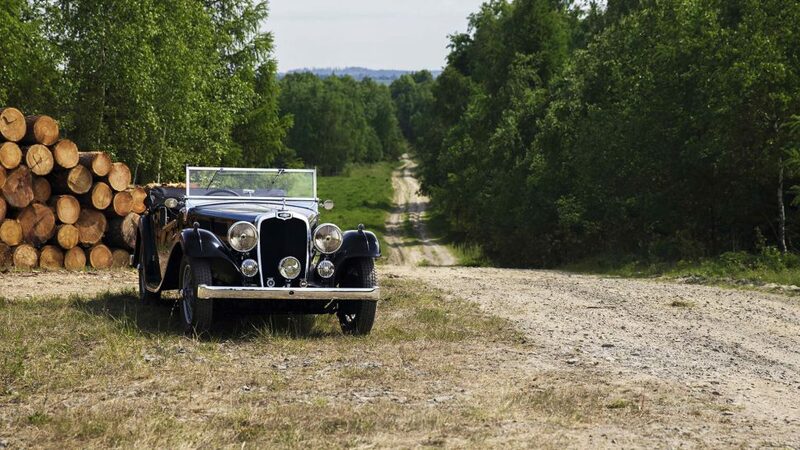 These cars are very rare and virtually exceptional in Bohemia. 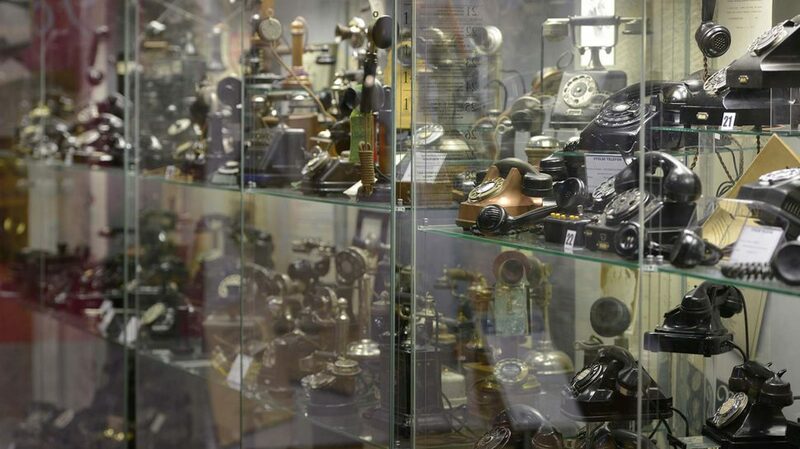 A unique collection of more than 380 contemporary apparatuses gives visitors an idea of the development of telephone technology from the nineteenth century up to the 1970s, to a period where the word “mobile phone” had no practical meaning at all. Not missing either are telephone switchboards or coin-operated automatic machines. There are telephones with a handle that the person telephoning had to rotate to call “the girl from the telephone exchange” with a classical dial and a lot of apparatuses of various bizarre shapes and purposes. In the times of our ancestors there wasn’t electricity everywhere like today. That is why stationary engines of the Wikov, Slavia, and ČKD brands, which you can see in our museum, were used to drive machines such as for example pumps, circular saws and threshing machines. In our exposition of engines you can see engines from various Czechoslovak producers and with diverse valve manifolds from SV up to DOHC including gearboxes and chassis. Last but not least, you will get an idea of how interwar cars were constructed thanks to the cross section of a historic car and you can see original pumps for dispensing petrol and engine oil from the First Republic.